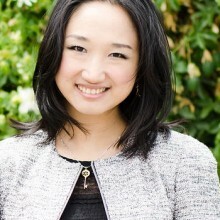 Dr. Sue Xu is Founding Partner at Amino Capital (also known as zPark Capital), and her focus areas of investment include data-driven healthcare IT, consumer software and hardware, drones, and enterprise services. She sits on the Board of Directors of YONO Health, and was interim CEO of CandyHouse and CFLD Innovation Center (SHENGHAI:600340). Since 2012, she has involved with more than 80 investments, such as Assemblage (acquired by Cisco – NYSE: CSCO), Orbeus (acquired by Amazon – NYSE: AMZN), Skycatch, and currently providing advisory to a number of fast growing portfolio startups, such as Droplet, Skuchain, Koinify, Yttro, Mage, Sherpa and et.al. Dr. Sue Xu began her early stage entrepreneurship when she was the founding scientist of GlycoMira (also involved in undergrad and Ph.D laboratory spin-offs). She has three patents and over 20 journal publications, and previously a Postdoc fellow at Stanford University. Want to speak at SVOD? Excellent! Great conference! Lots of People! Lot of energy! Enthusiastic! Everything is just going so good. I love coming to the Silicon Valley Open Doors! I discover entrepreneurs here every single year, and I think I’ve been to all of them. It was great to present at SVOD and meet world-class entrepreneurs and investors. Our venture was off to a fast start in the funding round after the conference, we had an early closing to the round, and I look forward to being part of SVOD in the future! The organizers here are doing an amazing job with selecting the people who attend, selecting the speakers, coming up with ideas for panels and discussions. The truly amazing side is that the audience gets bigger, more involved, active and more thoughtful. It’s just a fun place to be! Thank you for the opportunity to present Driveway at SVOD. It gave us much needed exposure to the wide investor community. Combining the pitch preparation classes with the presentation content guidance, we came out strong and confident from the podium. During the conference we had a chance to speak to many investors and industry leaders resulting in a very valuable feedback. A lot of energy, lot of very dedicated entrepreneurs here, very passionate, very committed to what they’re doing. Cleary one of the very best conferences we attended and sponsored in Silicon Valley this year. To us the conference truly captured what we see in our daily practice, the substantial opportunities and also the challenges with cross-border business arrangements. We made many new meaningful connections. Great conference, interesting presentations and most important, relevant participants with concrete ideas and tremendous willingness to mentor and help startups.